Founded in 1957, AGF brings a disciplined approach to delivering excellence in investment management through its fundamental, quantitative, alternative and high-net-worth businesses. Career growth is an ongoing objective for our employees. As the workforce changes, so do our opportunities for new jobs and career paths within AGF. Our employees continue to develop their business acumen and professional competencies to help us deliver exceptional service to each other and our clients. At AGF our employees contribute beyond their jobs and are encouraged to lead by example in the communities where they live and work. Kevin McCreadie is Chief Executive Officer (CEO) and Chief Investment Officer (CIO) of AGF Management Limited. In the role of CEO, Kevin is responsible for the overall success of AGF, overseeing the firm’s mission, vision and strategic direction. He also leads AGF’s Executive Management Team and serves as its liaison with AGF’s Board of Directors. As CIO, Kevin provides direction and leadership to AGF’s investment management teams and leads the firm’s global institutional business. In carrying out these responsibilities, he leverages The Office of the CIO, a structure put in place in August 2018 that encourages collaboration and active accountability across AGF’s investment management teams and broader organization, capitalizing on the firm’s depth of talent while driving forward the teamwork that is necessary for the long-term success of its investment management. Kevin brings 35 years of investment management experience to AGF, with extensive expertise in retail and institutional asset management, direct portfolio management and over a decade of combined experience as CIO for two major U.S. financial services firms. He previously served as President and CIO of PNC Capital Advisors, LLC, a division of PNC Financial Services Group, one of the largest diversified financial services organizations in the United States. In this role, he was responsible for leading the firm’s institutional business and overseeing more than $58 billion in AUM. Kevin began his career in 1982 at J.P. Morgan where he held progressively senior positions, ultimately becoming a U.S. large-cap equity manager. He went on to join Brown Investment Advisory where he served as Partner and Senior Portfolio Manager. His experience includes a focus on portfolio construction and enhancing investment processes as well as managing asset allocation and alternative strategies for clients. He earned an MBA in Finance from the Wharton Graduate School of Business and holds the Chartered Financial Analyst designation. 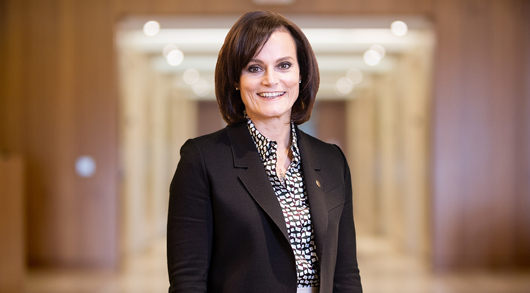 Judy G. Goldring is a renowned leader in the asset management industry and one of Canada’s most influential business women. As President and Chief Administration Officer of AGF Management Limited, she oversees the execution of strategic plans in support of business priorities, counsels the CEO on business planning and provides direction for operational and corporate initiatives. Reporting to the CEO, Judy is responsible for the firm’s Legal & Compliance, Human Resources, Product and Marketing & Communications teams as well as AGF’s Private Client businesses: Cypress Capital Management Ltd., Doherty & Associates Ltd. and Highstreet Asset Management Inc. In addition, as a member of the Board of Directors for AGF Management Limited and AGF Mutual Funds, she provides strategic leadership and vision that promotes AGF’s long-term growth. Judy is also a member of the Executive Management Team where she assists in the development and execution of AGF’s strategy. Since joining AGF in 1998, Judy has held several roles with increasing responsibility, most recently serving as Executive Vice-President and Chief Operating Officer. In this role, she demonstrated leadership in promoting and supporting the firm’s operational effectiveness. She also leads the growth and development of our private client business segment and FFCM, an ETF business located in Boston, MA. Before joining AGF, Judy specialized in regulatory and administrative law. She received a Bachelor of Arts in Economics from the University of Toronto and earned her Bachelor of Laws (LL.B) from Queen’s University. She is a member of the Law Society of Upper Canada, and has been a member of the Canadian Bar Association since 1993. Judy is also on the Board of Directors of the Investment Funds Institute of Canada (IFIC) and is the Chair (Elect) of TFS, Canada’s International School, which is the largest bilingual school in Canada. She also continues to support fundraising activities for the Juvenile Diabetes Research Foundation and has served on its National Capital Campaign. In 2015, Judy was named a Top 100 Hall of Fame Inductee by the Women’s Executive Network™ (WXN). This distinct honour is given to women who are nominated as one of Canada’s Most Powerful Women: Top 100 for a fourth time. Before being nominated in 2015, Judy was recognized by the WXN in 2012, 2013 and 2014. Judy was also honoured as one of the Women’s Post Top 20 Women of 2010. Adrian was appointed Chief Financial Officer of AGF Management Limited in July 2016. He is a member of the Executive Management Team and oversees AGF's financial management, corporate development, reporting, treasury, taxation and investor relations functions. Before taking on this role, Adrian held various positions within the firm and served most recently as Senior Vice-President of Finance. Adrian joined AGF in 2004 and has been an integral part of AGF's senior leadership team for the past decade. Prior to joining AGF, he held progressive roles with increased responsibility at PricewaterhouseCoopers and Canada Life. 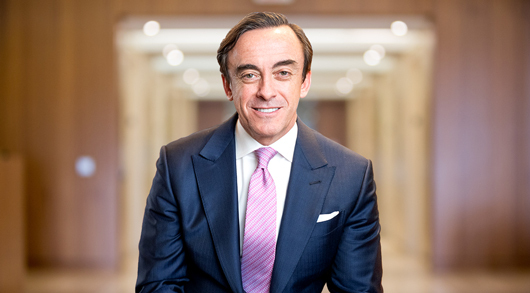 Adrian served as a Member of the Board of Directors for Toronto Finance International (TFI) from January 2013 to February 2019. TFI is a public-private partnership between Canada's largest financial services institutions and the government. Adrian was the Chair of the Audit Committee for TFI from December 2016 until February 2019. Adrian received his chartered accountant designation in 1998 and is also a CFA® charterholder. He graduated from The University of Western Ontario with a degree in Finance and Economics. Adrian lives in Port Credit with his wife and two daughters. In his spare time, he enjoys playing hockey, tennis and skiing. Chris Jackson is Chief Operating Officer at AGF Management Limited. In this role, he provides strategic leadership and vision to promote AGF’s operational effectiveness and long-term growth. Reporting to the CEO, he oversees operations, technology, and fund administration for the firm, supporting AGF’s Canadian and global offices. Chris is also a member of the Executive Management Team where he assists in the development and execution of AGF’s strategy. Previously Chris served as Chief Information Officer and Senior Vice President, IT & Operations at AGF Investments Inc. In this role, he was responsible for enhancing AGF’s operational performance and strengthening the information technology infrastructure to support the growing business. Chris has more than 30 years of varied experience leading organizations in the financial services and technology industries. Prior to joining AGF, he managed the Canadian and technology operations for Belzberg Technologies, an equity and options trading software and electronic brokerage firm. He was also the President and CEO of IA Sciences, an investment operations outsourcer for separately managed wrap programs and held senior executive positions at Financial Models Corporation and Deloitte Consulting. Chris has been a Board Member of Fundserv since April 2017 and was a coach with Oakville minor hockey and Halton Roller Hockey for over a decade. He graduated with an Honours Bachelor of Mathematics from the University of Waterloo. Blake C. Goldring is the Executive Chairman of AGF Management Limited. 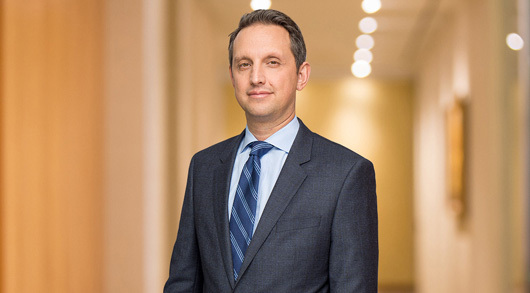 In this role, he is focused on furthering key partner relationships and deepening AGF’s strength within the alternative investments space, while also driving continued shareholder value by representing AGF on the Smith & Williamson Board and serving on AGF’s various entity Boards. He provides guidance and counsel to the CEO in setting the mission, vision and strategic direction for the firm. At the same time, he provides leadership to AGF’s Board of Directors in carrying out their collective responsibilities to supervise the management of the business and affairs of the company. Blake’s career at AGF spans more than 30 years. He was named President in 1997, Chief Executive Officer in 2000 and Chairman in 2006. 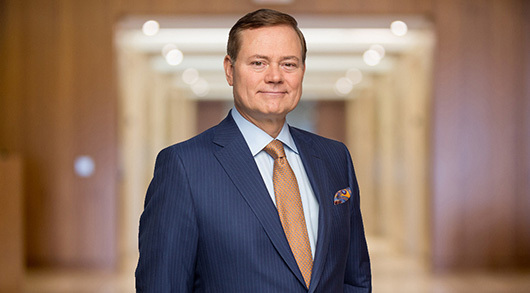 Under his leadership, AGF has grown to be a premier global asset management firm with operations in Canada, the United States, Europe and Asia. 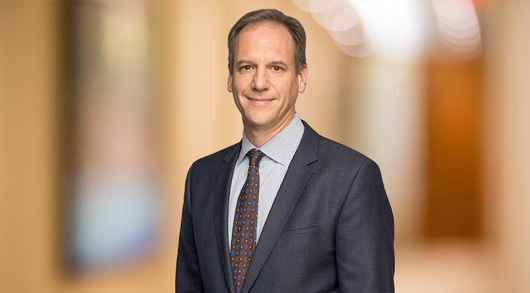 As a long-standing participant and advocate for the Canadian financial industry and broader community, Blake has been increasingly balancing his time across a number of organizations, including his involvement on the Board of C.D. Howe Institute and other industry organizations, as well as his community leadership as Chair, Sunnybrook Health Sciences Centre and a Director of the Canadian Film Centre in addition to supporting a number of other important causes. Blake is currently a Director of Alignvest Management Corporation, a Member of the Business Council of Canada (formerly the Canadian Council of Chief Executives) and a Leadership Council Member of Toronto Finance International. Blake is the founder of Canada Company, a charitable, non-partisan organization created to connect business and community leaders with Canada’s military. Among its many initiatives, Canada Company awards scholarships to the children of fallen soldiers to assist with their post-secondary education. In addition, Canada Company created and administered the Military Employment Transition (MET) Program from 2012 to 2018. This program helped 3,600 Veterans find meaningful employment in the civilian workforce. In 2011, Blake was appointed the first ever Honorary Colonel, Canadian Army. He retired in 2017 having served a total of 12 years with the Canadian Armed Forces. Blake has received numerous honours in recognition of his personal and professional achievements. He was awarded the Person of Influence Award at 2007 Canadian Investment Awards Gala. Blake was also awarded the Meritorious Service Medal (Military Division) in 2009, the Queen’s Diamond Jubilee Medal in 2012 and the Canadian Forces Decoration (CD) for 12 years of service, in 2017. 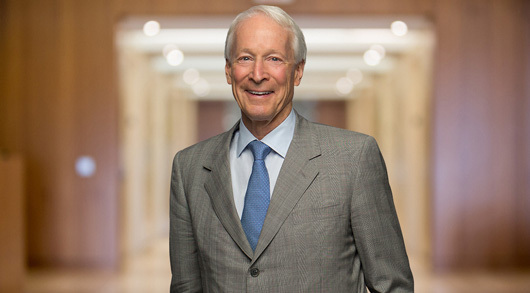 In December, 2018, he was appointed a Member of the Order of Canada for his contributions to business and philanthropy. Recognizing his community service, he received the Order of the Diocese from the Anglican Diocese in Toronto in 2013, and the Award of Merit from B’Nai Brith in 2011. In 2014, he received the VIMY Award from the Conference of Defence Association (CDA) Institute. W. Robert Farquharson is Director and Vice-Chairman of AGF Management Limited and Chairman of AGF Asset Management Asia Ltd. He first joined AGF in 1963 as an Analyst and was promoted to Portfolio Manager in 1965. Bob became Vice-President of AGF Management Limited in 1973 and was appointed to the Board of Directors in 1977. From November 1987 to March 1991, he held the position of President of AGF Management Limited. In March 1991, he was appointed Vice-Chairman. He is a Past Chair of the Investment Funds Institute of Canada (IFIC) and a Former Director of the Toronto Stock Exchange. Bob earned a Bachelor of Commerce degree from the University of Toronto and holds the Chartered Financial Analyst designation. Home to a regional sales office and Cypress Capital Management, an investment management and counselling services firm for institutions and high-net-worth investors. AGF also has regional sales offices across Canada managing advisor and strategic account relationships for our retail business, which provides investment management products to the retail channel. Highstreet Asset Management offers institutional and high-net-worth investment management primarily on a pooled basis. Retail and institutional investment management from our Toronto headquarters. Our investment management team manages our retail mutual funds, as well as institutional mandates. It is also the hub for sales and marketing. Doherty & Associates offers institutional and high-net-worth investment management counselling services to Canadian investors with offices in Ottawa and Montreal. Dedicated to business development and client service for institutional clients in the United States. Also based in Boston is FFCM LLC., offering access to investment factors through a family of ETFs and ETF-managed solutions. Provides investment management services to retail and institutional investors. A representative office in London, dedicated to business development and institutional client sales efforts in the U.K. Also in the region, AGF holds a 33% interest in Smith & Williamson Holdings Limited, a leading independent, private client investment management, financial advisory and accounting group. A representative office focused on opportunities in Chinese markets. Dedicated to business development for institutional clients in the Asia-Pacific region. Provides retail investment management advisory services.